The Ring Video Doorbell 2 is our top pick for a fuss-free smart doorbell camera installation. It also boasts great video quality and reliable motion sensing for a solid overall experience. One of the biggest roadblocks for potential buyers considering a smart doorbell camera is all of the extra hassles that come with the installation. Beyond the initial expense, is it really worth it to mount a video doorbell to your existing wiring and potentially engage an electrician or professional installer to ensure it's done correctly? Ring's Video Doorbell 2 avoids this conundrum entirely. It's a battery-operated video doorbell that doesn't require any kind of hardwiring (although that's an option), and can be attached with ease anywhere around your door. It's not nearly as slim as some other options, including Ring's own Video Doorbell Pro, and skipping wires means you'll have to pull the battery out and charge it at some point. However, the ease of installation and overall quality make it a great option for less-handy and/or more frugal homeowners. We tested the Ring Video Doorbell 2 for three weeks, exploring its motion-sensing and video recording capabilities and ease of use compared to competing devices. The ease of installation and overall quality make it a great option for less-handy and/or more frugal homeowners. The Ring Video Doorbell 2's overall design is very modern and understated, with a glowing blue ring around the prominent doorbell button and a glossy black finish at the top where the camera and motion sensor sit. You can swap between Satin Nickel and Venetian faceplates at the bottom, depending on which finish best matches the surface you want to mount the doorbell on. However, the Ring Video Doorbell 2 is also very chunky. That's because of the large battery pack, which makes the device both wider and thicker than the current hardwired equivalent, the Ring Video Doorbell Pro. At 5.05 x 2.50 x 1.08 inches, it's 0.65 inches wider than the Pro, which makes a significant difference when it comes to placement. Depending on your home, the Ring 2 may not fit where your old, traditional doorbell sits. But bulky as it may be, the Ring Video Doorbell 2 still has an attractive allure to it — it looks appropriately high-tech, unlike the RCA Video Doorbell, which looks a bit like a TV remote. Without any kind of wiring required, Ring Video Doorbell 2 installation is very straightforward and requires little hassle. Due to both the size and the fact that we were testing wired doorbells at the front entrance of the house, we opted to install the Ring 2 at the back entrance. It was not a difficult process, and the box contains everything you'll need except potentially a drill. It also has angled mounting plates, in case you need to angle the doorbell to get a better view of your walk-up. We installed the Ring 2 on a thin siding surface with wood beneath and used a drill to punch small holes through the siding. From there, it was simply a matter of putting in the screws with the included screwdriver and attaching the faceplate with a security screw at the bottom. Ring recommends that you charge the battery before installation so that it's ready to last for months. This is done simply by popping off the faceplate and sliding out the battery, which can be charged indoors using the included microSD cable. You can check the battery life level from within the Ring smartphone app, which is also what you'll use to complete setup. The whole setup process within the app takes only a few minutes, during which time you'll need your home Wi-Fi information. The Ring Video Doorbell 2 can also be wired to your existing doorbell wiring, instead of relying on the battery pack — but if you're considering that option, we highly suggest buying the Ring Video Doorbell Pro instead. It's a little pricier at $249 (vs. $199 for the Ring 2), but it is much slimmer and sleeker, making it the more attractive device and easier one to position around your door. The Pro also lets you customize motion detection zones to a much greater extent. Once mounted, the Ring Video Doorbell 2 impresses with its ease of use and consistency. We didn't see any false positives during our testing, and it diligently recognized every entrance and exit from the door — including those from a dog. We tested the doorbell itself and promptly received an alert on our iPhone XS Max, allowing us to see the person and have a conversation from anywhere in the house. Unlike the Ring Video Doorbell Pro, which lets you map the motion tracking zone by dragging and dropping points within the camera view, the Ring Video Doorbell 2 sticks with a much simpler option: you can determine how far away the camera monitors movement by adjusting a slider. It's not the most robust option, but at least you can block out certain areas if you're near a busy street or sidewalk. After three weeks of usage, the battery still stood at 85% capacity. Ring estimates that the battery will last between six months and one year on a full charge, with our current trajectory potentially putting us near the lower end of that target. Ring doorbells also work with IFTTT (if this, then that) applets that add clever functionality, like blinking your home's smart lights when the doorbell is pressed, or lowering the volume of your Sonos speakers so that you hear the chime. The Ring Video Doorbell 2 makes a small chime sound itself and sends an alert to your phone, but won't make noise within your house unless you have it hardwired to an existing chime box. However, Ring sells its own straightforward Chime accessory that plugs into a wall outlet and pairs with the doorbell, creating a sound indoors. Alternately, you can pair your Ring account with Amazon's Alexa and have your Echo device alert you when someone presses the doorbell. You can also access the camera with an Echo Show or Echo Spot device—it was very neat to be able to get a live view of the front door from an Echo Spot by our bedside. Ring doorbells also work with IFTTT (if this, then that) applets that add clever functionality, like blinking your home's smart lights when the doorbell is pressed, or lowering the volume of your Sonos speakers so that you hear the chime. The Ring Video Doorbell 2 records 1080p video with its 160-degree field of vision, offering a wide view of what's outside your doorway. In our testing, the footage was consistently clear, letting us get a live view in a matter of seconds and see detailed faces, snowflakes, and other objects. Zooming into any part of the shot tends to make the sights appear blurry, but you can still make out what you're seeing. In the evening, a low-light mode is automatically engaged, making it easier to pick out people, creatures, and more from the footage. Ring's smartphone app is a polished and cohesive experience, letting you monitor multiple doorbells and cameras in one place, view recorded events, customize motion zones, and check battery life. It also has a unique "Neighbors" feature that plugs you into a local community feed, in which other Ring users can share videos of suspicious people or report crimes. Unfortunately, some core features require a subscription after the initial 30-day free trial. Without the Ring Protect Plan, which costs $3/month (or $10/month for multiple devices), you won't be able to view, save, or share and videos recorded by the doorbell — you can only see the footage live when you get an alert. At $199, the Ring Video Doorbell 2 is well priced for its quality and convenience, and it's $50 less than the Ring Video Doorbell Pro. As mentioned, the Pro model features a more compact design and offers improved customization for motion detection zones. On the other hand, the convenience offered by the Ring Video Doorbell 2's battery pack is a huge benefit that certain buyers are likely to see as a key selling point. There are other smart doorbell cameras that use battery packs or disposable batteries but are even larger, have lesser-quality components, and don't offer quite as polished of an app experience. The Ring Video Doorbell 2 is a quality product at a reasonable price. 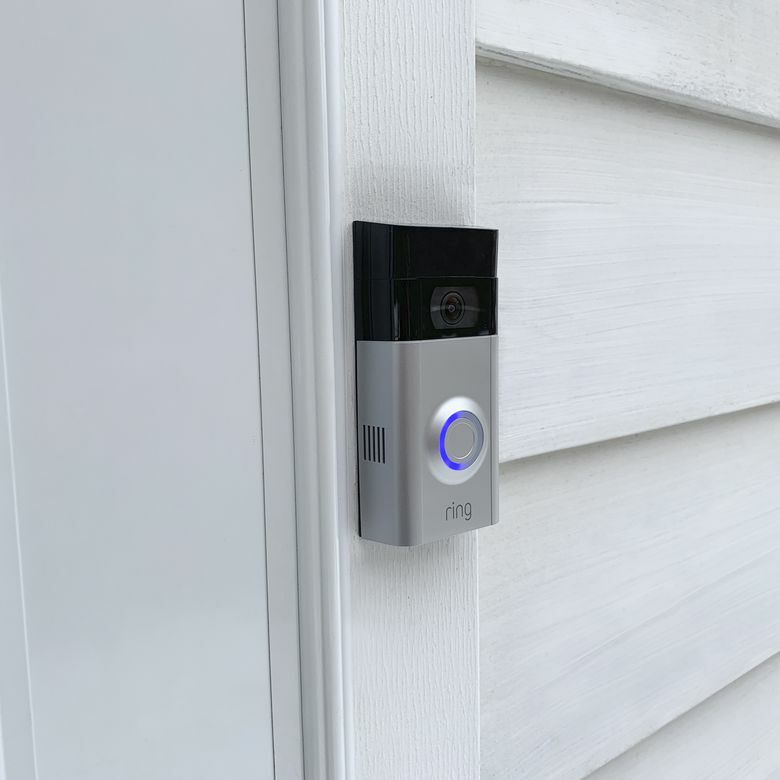 However, the requirement of the Ring Protect Plan to take full advantage of the doorbell's functionality will be disappointing to some buyers, as it adds an ongoing cost beyond the initial price tag. The convenience offered by the Ring Video Doorbell 2's battery pack is a huge benefit that certain buyers are likely to see as a key selling point. In the realm of sub-$200 smart doorbell cameras, the Ring Video Doorbell 2 and RCA Video Doorbell Camera are both compelling options, albeit for different reasons. Ring's doorbell has the more sophisticated allure, although it's bulkier—and the mounting flexibility provided by the battery setup will be significant to some buyers. Additionally, Ring offers perks like Amazon Alexa compatibility, connectivity with other smart home devices, and a better-designed app. On the other hand, RCA's wired device delivers the same kind of core functionality in terms of motion sensing, doorbell alerts, and two-way talk, the video quality is great, and it's $50 less at $149. The RCA Video Doorbell Camera isn't the most exciting-looking doorbell on the market, but it'll get the job done at a very appealing price—and with no subscription fee, either. The best wireless option, period. The Ring Video Doorbell 2 is the smart doorbell camera to get if you don't have existing doorbell wiring, don't want to be locked into mounting it where current wiring is, or just don't want to bring the hassle and added expense of an electrician or installer into the equation. Product Dimensions 5.05 x 2.5 x 1.08 in.